This will be our first real test of the season. I don’t know why people rate the Chargers (take out Rivers and they’re a very average team, in my opinion) but for some reason this is supposed to be our first real test. I suppose that people will start labelling them another “poor” team after we lay 30+ points on them and limit them to single figures. "Well the Chargers didnt have Bosa"
"The Chargers are the Chargers. When was the last time theyve done anything of significance"
I personally think the Chargers have one of the most talented rosters in the NFL. 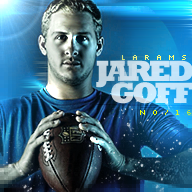 It will be the first real test for the Rams just from that standpoint. Now the Rams are 7pt favorites which is I believe the second highest this week only behind the Vikings who are like 16.5pt favorites over the pathetic Bills. 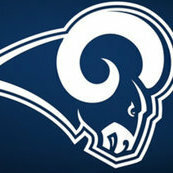 The Rams have the type of team this season where they are going to make alot of teams look bad. 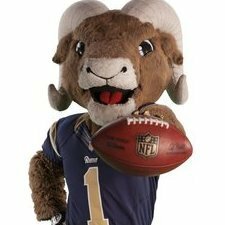 I dont think the Chargers are a bad team but Sunday they could play their worst game of the entire season when its all said and done because the Rams are just that good. People dont see it that way but I get the sense of it just by watching the Rams so far this season. Honestly f that. Just enjoy every week. We deserve it after all the BS we’ve thru. I agree. We have suffered through alot and now we deserve to reap the great reward of having a team that will do all it takes to be great even if others hate on us every step of the way. 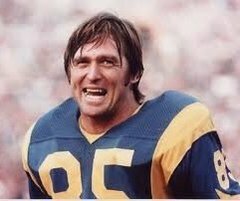 I don't know what was going through the NFL's mind when they thought that the Rams' game against the Raiders was good enough for primetime but not the battle of LA. How can they think that considering it was the Chargers who were almost a playoff team last year, while the Raiders weren't even close. Carr is not a great QB neither is Bradford. Rivers has more experience and when he's on fire he could be dangerous. BUt he also be very bad when he's not on the mood. Beside The Chargers has a lot of weapon on offense, more than Raiders or Cardinals and if our defense dominate against them, it could be pretty pretty good for the rest of the season. Their defense without Bosa is still very solid so for me, yes it's the real first test for us. I don't see us winning with ease. How do you think the Chargers specially Felipe Rios will fare? Does he get up for these games? We don’t know if we’ll be getting the Bolts or the LOLs. He'll definitely get up for the game. I kind of talked about this in the last thread; I'm expecting a tale of two halves. First half will be fairly competitive. Second half, we'll make adjustments - Chargers won't (or won't make effective ones) and the game will end up finishing with Rivers chasing, and pressing too aggressively like he tends to when he chases, and Peters (who owned Rivers last year to the tune of 3 INT's) is going to get another pick-6.